A MOVE to scrap public subsidies to trade unions in Leeds has been thrown out. A meeting of the council called to discuss the issue rejected a call from Coun Alan Lamb (Con, Wetherby) to end the arrangement. In a resolution put forward by Coun Lamb, he said the annual cost to the city’s council tax payers of 15 full-time convenors was an “unjustifiable” £417.000. He said support should be brought to an end because the council was facing massive financial pressures and cutting frontline services. Coun Lamb said the principle of providing reasonable support to trade unions was right and told the meeting that, even if his resolution was agreed, the council would be more than meeting is legal obligations to the unions. 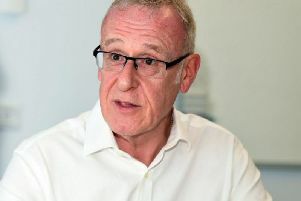 Coun Keith Wakefield (Lab, Kippax and Methley), council leader, said the unions worked with the authority to cut sickness absenteeism and helped it save money that otherwise would be spent on employment tribunals. Coun Tom Leadley (Morley Borough Independents, Morley North) said an enormous organisation such as the council needed a formal structure in relation to the unions. He also questioned why, if the arrangement was such a problem, the council’s previous Conservative-Lib/Dem administration had done nothing to end it. Coun Karen Groves, (Lab, Middleton Park) said working with 15 convenors was more productive and efficient than dealing with employees individually. The resolution was defeated 56-31 with four abstentions.